Days of mail correspondence are slipping away, but our Amish Clerk's Roll Top Desk is a timeless, hardwood classic that is as functional as ever. Topped with four drawers for extra storage, our Clerk's Roll Top makes a compact and efficient home office or kitchen desk. Dual writing pullouts add work space for resting your laptop or the forgotten art of letter writing, and drawers are mounted on full extension slides and dovetailed for stability. Our roll top comes standard with solid wood raised panels on its back, sides, and knee space. To order as pictured, select Oak with a Country Road finish, or browse our other options found within our Create Your Piece menu. 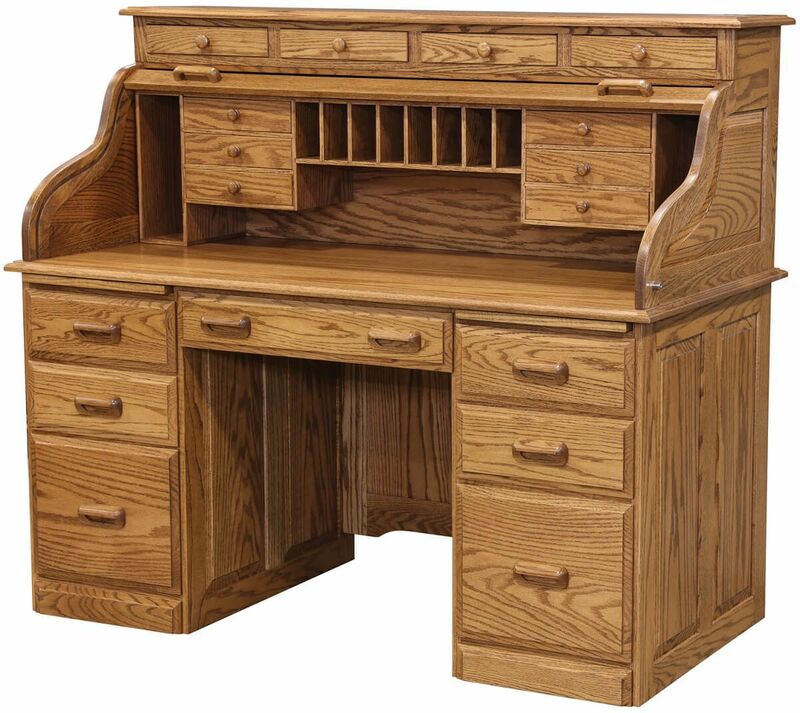 Your Clerk's Roll Top Desk will be made-to-order and delivered directly to your home or office.